Heat exchangers at Chevrons El Segundo, Calif. refinery (Image courtesy of Chevron). 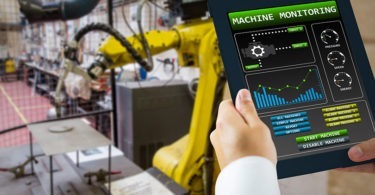 A persistent theme in the smart maintenance and Industrie 4.0 era has been partnerships between automation vendors and cloud companies, but not end users are getting into the act. Last year, Efficient Plant reported on the partnership of energy giant Chevron (San Ramon, CA, www.chevron.com), made with Microsoft (Redmond, WA, azure.microsoft.com/en-us/) to use the company’s Azure cloud platform and analytics for better safety and reliability of its machines. Now, more details are coming out about Chevron’s predictive maintenance pilot project including heat exchangers via Microsoft and a recent Wall Street Journal article. A heat exchanger removes the heat from fluids flowing through it as part of the plant’s fuel processing. “Chevron has more than 5,000 heat exchangers in active operations in more than 100 countries. Deploying health monitoring across different pieces of equipment has the potential to provide significant savings,” says Deon Rae, a Chevron fellow and lead of Chevron’s IIoT Center of Excellence. According to the Microsoft blog, Chevron attached wireless sensors to heat exchangers to collect and send real-time data from the heat exchanger to the cloud – supplementing information already gathered by the safety and control system. Besides the Azure cloud platform, Chevron is also leveraging its long history with Emerson (Austion, TX, www.emerson.com) and their Plantweb digital ecosystem for this heat exchange pilot program. 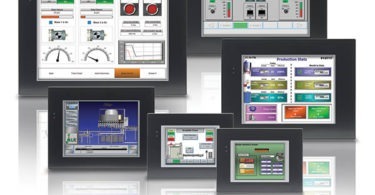 The cloud-based control and visibility solution “translates equipment health data into a user-friendly format and securely delivers it to relevant personnel so they can make more informed decisions impacting production,” according to Emerson. In last year’s Emerson and Microsoft announcement, the press release stated that “Emerson would broadly adopting Microsoft’s Windows 10 IoT technology, both in its DeltaV™ and Ovation™ control systems and in data gateways, for local data processing and to serve data to Azure IoT Suite. In the experiment, four wireless sensors were put in strategic places along the machine, which captured a wider dataset, including information about temperatures and oil flow. With the additional data and Microsoft’s cloud-based predictive analytics applications, Chevron’s data scientists can predict when the heat exchanger will become dirty and need cleaning, Mr. Rae said. Besides heat exchangers, corrosion data is another area of focus for oil and gas supermajors. This solution is also relying on wireless sensors — see wireless motor sensors here — and Chevron also is piloting the use of sensors to measure pipe corrosion and tank levels used at their facilities, according to Microsoft.